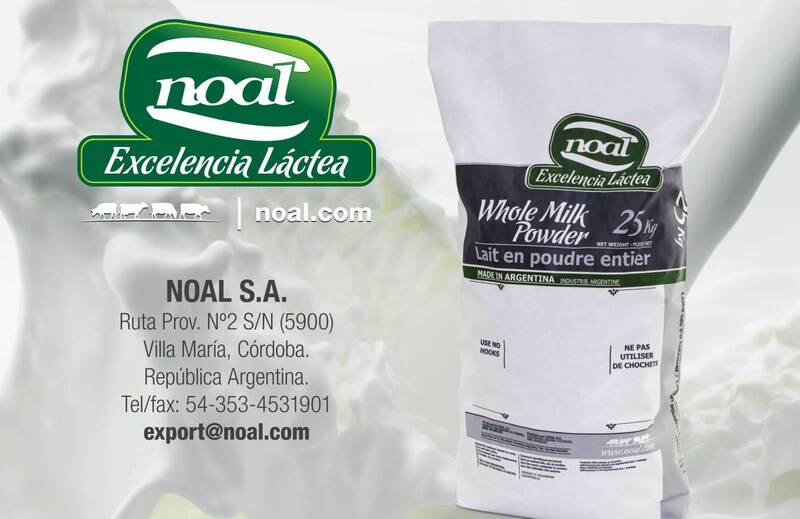 From its beginnings, Noal has developed policies based on the quality and security of its processes to guarantee the optimal organoleptic and sanitary conditions of the products it produces. Since 1999, it has received the ISO 9001 certification for its Quality Management System, a recognition that made it the first dairy factory in Argentina to have all of its cheese lines certified. Noal’s commitment to quality allows it to be competitive in the domestic as well as in the foreign markets. This is reflected in its exports to more than 20 countries, among which are the USA, Canada, Brazil, and Chile. Due to the constant demand of its products, the factory has incorporated both technology and equipment to meet the needs of different markets, while keeping its quality standards and commercial responsibility. The increase in its daily milk processing capacity to 700,000 liters, the installation of an automated Mozzarella plant, the recent installation of two more storage silos for raw milk, together with the building of more spacious ripening rooms, and the project to automate the pressing of its hard and semi hard cheese lines, give evidence of the road Noal wants to follow and reflect its main objective: to produce high quality cheese.